The well-preserved Etruscan Tumulo di Montefortini is a 7th-century BC burial mound, discovered only in 1965. Previously thought to be just a natural hill, instead it turned out to be an impressive tumulus 36ft high and 262ft in diameter, covering two burial chambers. 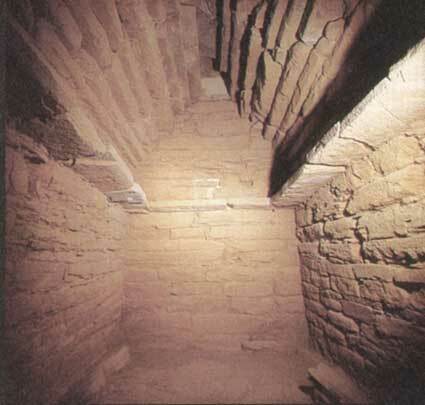 A long hall leads down to the vestibule and rectangular tomb chamber, both carefully covered with corbeled vaulting; the wide shelf in the chamber was probably used for the gifts an Etruscan needed in the afterlife. The other chamber is round, like a Mycenean tholos, and partially collapsed from an earthquake. The area around Comeana has many other Etruscan remains: an equally impressive tomb nearby, the Tomba dei Boschetti, that was seriously damaged over the centuries by local farmers, and a necropolis with a number of interesting tumuli at Prato Rosello, near Artimino. All these sites seem to have belonged to the hilltop fortress town at Pietramarina, currently being excavated. It's west of Comeana off the SP43 near Poggio a Colli. Most of the finds from the local tombs are on display at the Museo Archaeologico in the nearby (4km west) Villa Artimino. On Via Montefortini (SP45) in Comeana, 9km west of Florence. Tomba dei Boschetti temporarily closed; call +39 0558 719 741 for information.